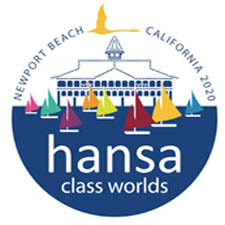 Six months out from the 2016 Hansa Class World & International Championships, 60 entries from 13 nations have already been received and organisers are halfway to their goal of 120 entries. Many past World, International, Regional and National Champions have booked their place to take on the best competitors from around the globe. The strongest entries have been for the Liberty World Championship, with 24 sailors from 6 nations entered so far. British sailors Paul Phillips, David Durston and Monique Foster made up the podium for the 2015 European Championships in Rutland and all now seeking the greater prize. They will be joined by Helena Horswell (NZL), winner of the Servo Division in the last Worlds in Sydney, and the sailor finishing 4th in this year’s European Championships, Genevieve Wickham from Australia. The Hansa 303 two-person World Championship will also be hotly contested. While 16 entries have been lodged, this could be the largest fleet in the regatta. Keep an eye on Chris Symonds, the current Australian Champion in the single and two person 303 disciplines and who has entered the 2P Worlds with new crew Michael Darby. Portuguese crews were 2nd and 3rd at the 2015 Europeans and the new pairing of Luis Martins and Jose Cavalheiro are ready to take their country’s placings one better. The Swiss and French are keeping their options open with their crew combinations, but both nations are expected to be very competitive in Medemblik. Teams from Switzerland claimed 4 of the top 10 places in Rutland last year. The Hansa 303 two-person International Championship is an attractive prize for Chris Symonds. 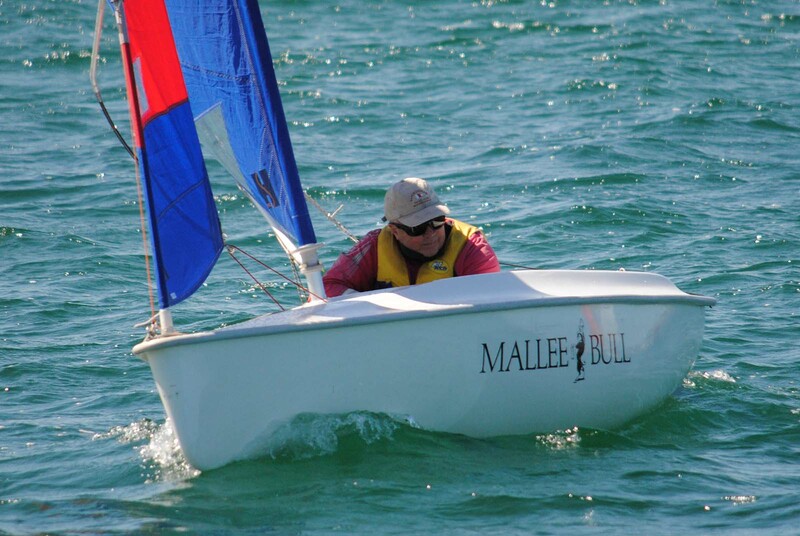 This experienced sailor from Tasmania won the Australian Championships in this discipline in 2014 on his first attempt and backed it up in 2015. The British, French and Swiss competitors will, however, not be making it an easy task. Katherine Hedley from Frensham Pond, one of the most competitive clubs in the UK, was 2nd in the Nationals last year and keen to make her mark on the international stage. Entries are a little slower in the Hansa 2.3 class. Top British sailor Lindsay Burns already has her entry in, as has Koji Harada from Japan who was 4th in the 2012 Worlds in Sydney. 3 Greek sailors have signed on and Portugal are expected to provide a talented contingent of 2.3 sailors. In the current Paralympic class, the SKUD 18, entries have so far been received from 6 teams and 5 nations. Local Dutch sailors Rolf Schrama and Sandra Nap have just returned from two regattas in Melbourne, Australia, where they were locked in battle with the Polish team of Monika Gibes and Piotr Cichocki. Schrama & Nap finished 4th at the 2015 Para World Sailing Championships, one place ahead of the Poles. The following week at the Sailing World Cup Melbourne round however, Gibes & Cichocki reversed the tables. This will be a fascinating battle to watch. Along with and Marco Gualandris & Marta Zanetti from Italy, these teams are likely to be joined by the crews who have been dominating recent SKUD 18 competitions – Dan Fitzgibbon & Liesl Tesch (AUS) and Alexandra Rickham & Niki Birrell (GBR). The Hansa Championships follow closely after the Delta Lloyd regatta and Para World Sailing Championships next year, providing back to back world class competition for the SKUD 18 sailors preparing for Rio 2016. With the strong entries the committee of the 2016 Hansa Worlds can now further focus on event organisation. Everything that happens on the water will be managed by Royal Yachtclub Hollandia. They are responsible for the race management and other race related functions. The charter boats are organized by Sailability, with still plenty of boats available for the Hansa 2.3 and Hansa 303. With a lot of nations coming together in the Netherlands, accommodation is a high priority. The travel agency Accessible Travel Netherlands can help everyone book their accommodation without the hassle of researching their stay. They can find the perfect accommodation, the travel plan from and to the airport, rental cars and trips. 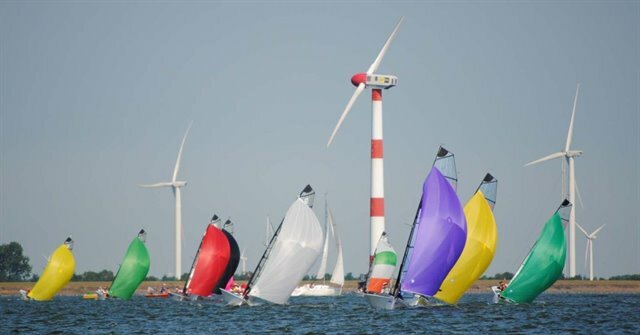 The 2016 Hansa Class World & International Championships will be held at the International Sailing Centre in Medemblik, the Netherlands, from June 3-9 this year. The Dutch Championships will also be incorporated within the event. IHCA President Russell Phillips is looking forward to the 2016 Worlds and has already entered in the Liberty fleet. 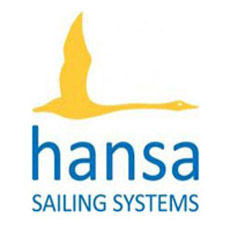 “The 2016 Hansa Class Combined World & International Championships will showcase the best sailors from around the world in our four inclusive Hansa Classes – the Hansa 2.3, Hansa 303, Liberty and SKUD18”, said Mr Phillips. “It is great to see that interest in our Combined Championships is strong and that a large international presence will complement the European sailors. The Hansa Class Association continues to grow and the 2016 Combined World & International Championships will be the pinnacle of our worldwide calendar of events”, he said. Event information, race documents and online entry is available via the event website www.2016HansaWorlds.com.